Need a posing figure? Here's the next best thing. 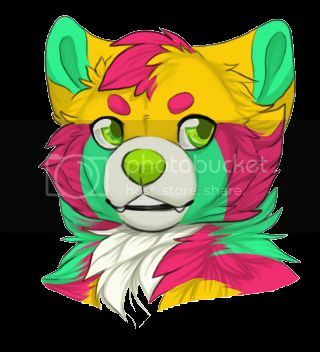 - artwork techniques & tutorials - Furtopia | Family Friendly Furry Forum and IRC Chat! Alright, so, I tried to use this software some time ago, some of you probably heard of it, I searched it in the forums before this post and someone mentioned it way over a year ago, but for a different use. I'm referring to Daz Studio. In its core, the program's designed to create scenes and animations based on premade models, complete with lighting and rendering options. This, however, is of no use to me at all. I dislike most of this concept, since you are very limited to what you can do unless you buy model packs that other people do, but I'm not going to rant about that here. The thing is, the program is free, and it's not a trial or a demo. 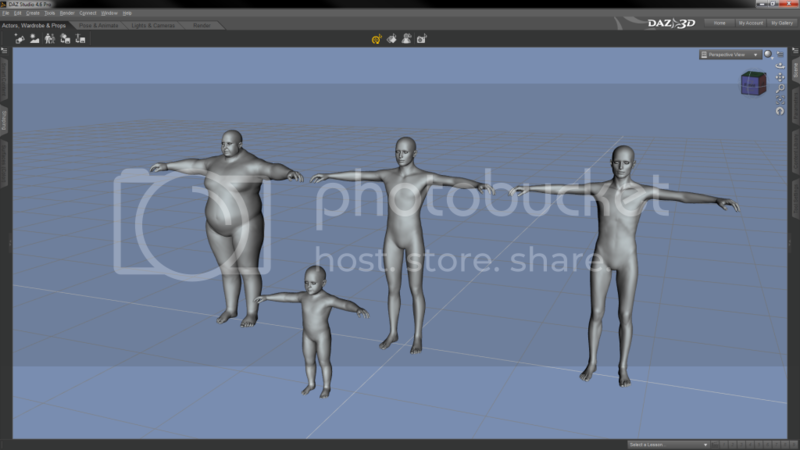 The free version comes with limited assets and no animating options I think, but those are of no use for this job. What you can do, is place a generic character in the scene, and pose it to your hearts desire. 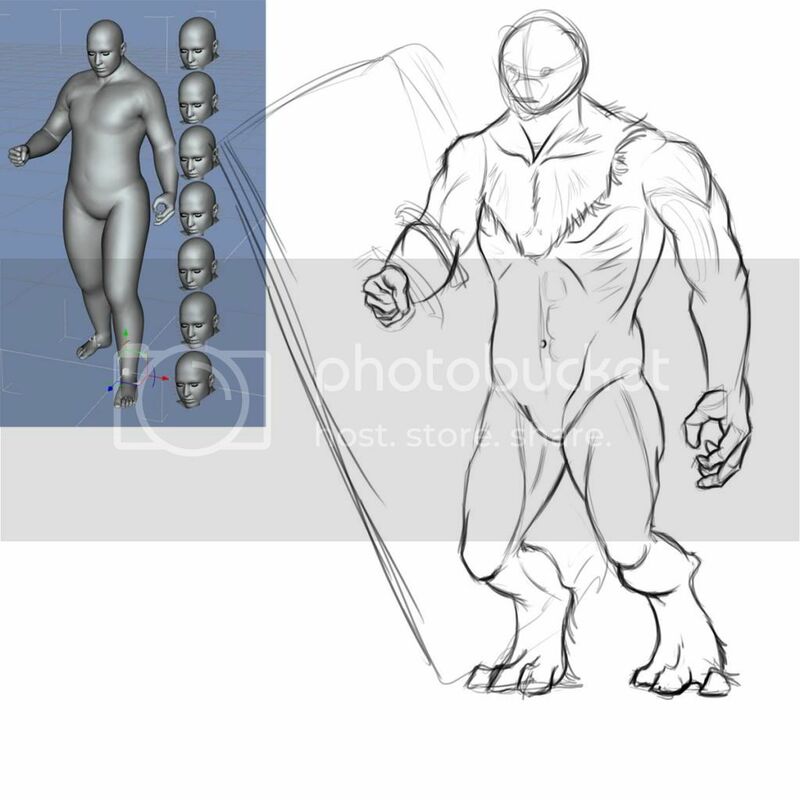 You can fiddle with the proportions and position of every aspect of the character, from the fingers, to torso and eyeballs. You can also opt to chose from the (very limited and ridiculous) pose presets the program comes equipped with, and add some of the (very very limited) clothing/hair options. The models handle impressively, having the muscles bend in realistic ways, as well as limiting limb movement to reflect real life. The interface is cluttered, the documentation isn't that great, since the tutorials only deal with presets, and the shortcuts are hard to find (it took me over 30 minutes of searching to find how to rotate and pan the camera, which are, Ctrl+Alt+LMB and Ctrl+Alt+RMB respectively). Going to post a couple of screenshots if only to exemplify it. The program can be downloaded here for free and the limitations mentioned earlier. Re: Need a posing figure? Here's the next best thing. Looks like more fun than a rabbit should have. I may have to try this out soon, thanks for the link! Holy wow, I've been looking for this exact thing for... forever! Thanks!